You already know you can always find a great deal at Macy’s. What you might now know is just when the Macy’s 48 Hour Sale is going to pop up. But let’s get real – you’re a smart Magic Style Shop fan who knows we’ll always keep you up to date with the latest and great Macy’s deals…and you know Macy’s ALWAYS has a great sale up their sleeves. This one is no different. So what’s the deal? I’ll tell you: for only 48 hours, Macy’s has a – you guessed it – 48 Hour Event. 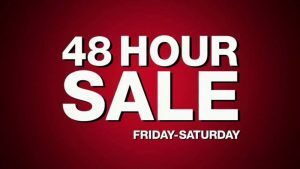 The 48 Hour Sale is happening Friday, April 12th-Saturday, April 13th! This is what you won’t believe. Instead of the typical 15 or 25 percent off we typically find during a Macy’s sale, you can save up to $20 off $48 with the code HOUR48 and free shipping on orders of $48 or more! You can find over 48 deals for the home, family, and more! Charter Club DamaskSolid Sheet Sets, 550 Thread Count 100% Supima Cotton- originally $70-235, now 65% off and only $23.99-81.99! Jessica Howard Bell-Sleeve Lace Sheath Dress- originally $99.00, not just $58.99! Tag Springfield 5-Piece Luggage Set is only $59.99 (originally $240)! 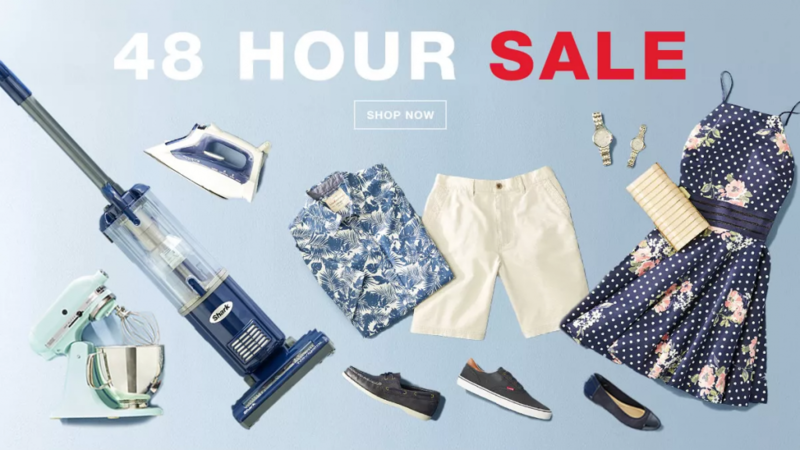 Of course, there are many more deals to discover during the 48-Hour Sale and so many ways to save at Macy’s, just not a lot of time to discover them. So don’t delay! Not the One Day Sale? Oh, and if you’re wondering what the difference is between this Macy’s sale and the Macy’s One Day Sale, I’ll be honest: not much. You still get to enjoy two days of savings. However, while there is usually not a discount code during the One Day Sale, there typically is for the 48 Hour Sale. You know if there’s a way to save at Macy’s, I’m going to find it for you!